Marrakech riads, Riad 72. 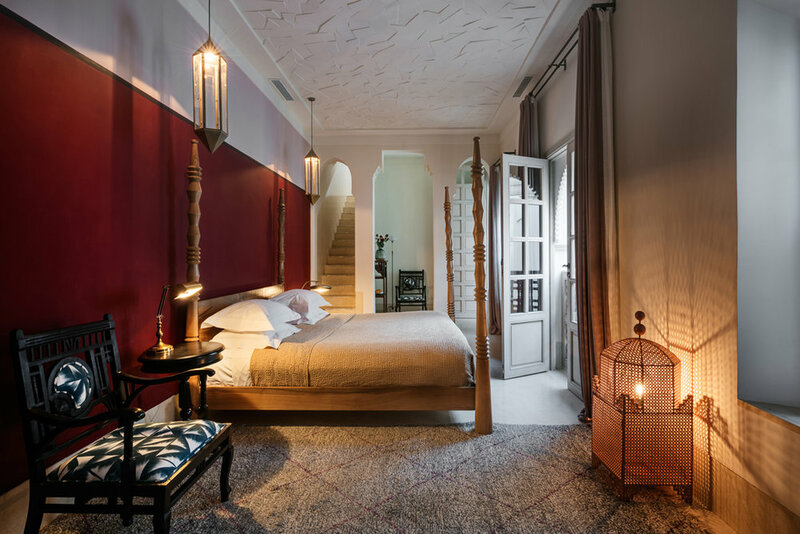 A boutique hotel of Marrakech. 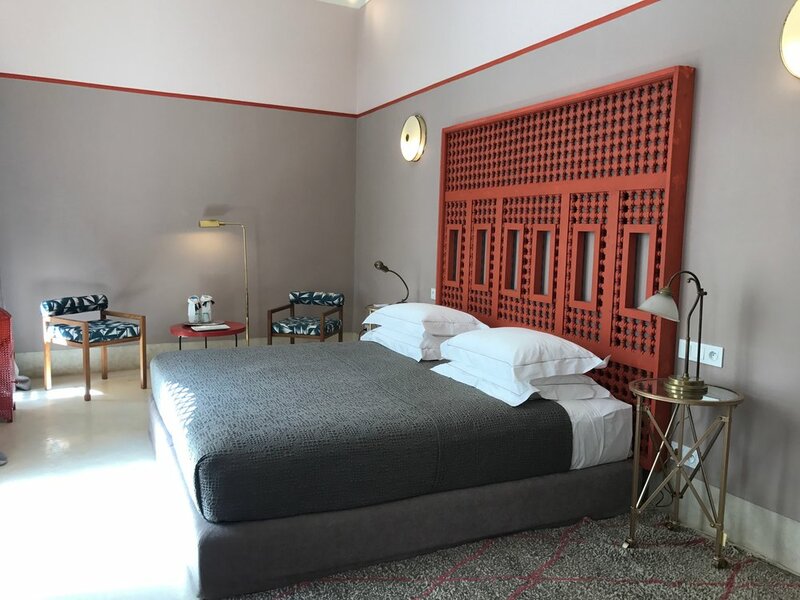 Design hotel in a riad of Marrakesh. A Charming Moroccan heritage residence accentuated with contemporary touches. The night comes and it is finally time for a sweet and refreshing sleep. Take a look at our suite and rooms and choose the one that fits your tastes and personality best. The Riad is a romantic retreat and a tranquil oasis in the Marrakech. The beautiful terrace is one of the highest of the médina. It offers incomparable views over the old city and onto the majestic Atlas mountains: ideal for soaking up the sun or a sunset aperitif. Intimate, unique and welcoming, 72 is much more than a boutique hotel ; it is your home in Marrakech and it is a tranquil Eden of peace in the heart of the colourful Medina. 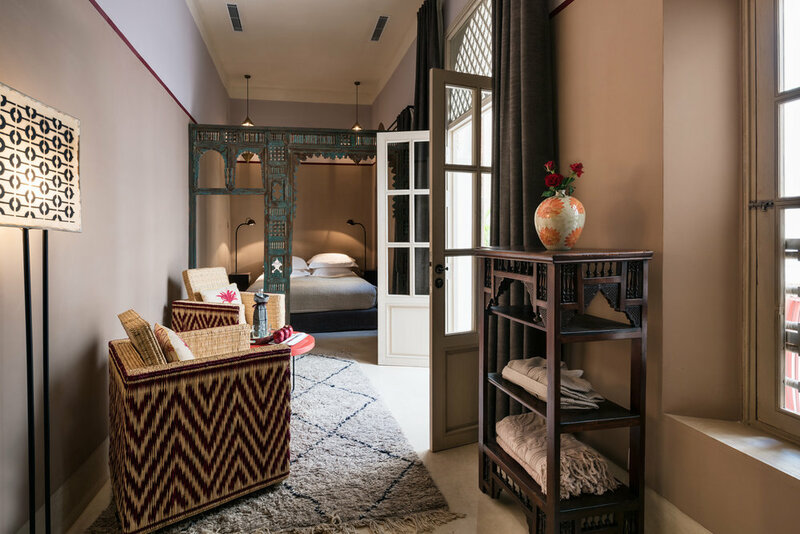 Each of Riad 72 rooms are individually decorated and styled, but all offer a relaxing and elegant retreat from the outside hustle and bustle you can enjoy getting lost in during the day. But at the day's end, climb up to 72's roof terrace to watch the beautiful sunset and later dine under the stars, enjoying our Chefs contemporary Moroccan creations. 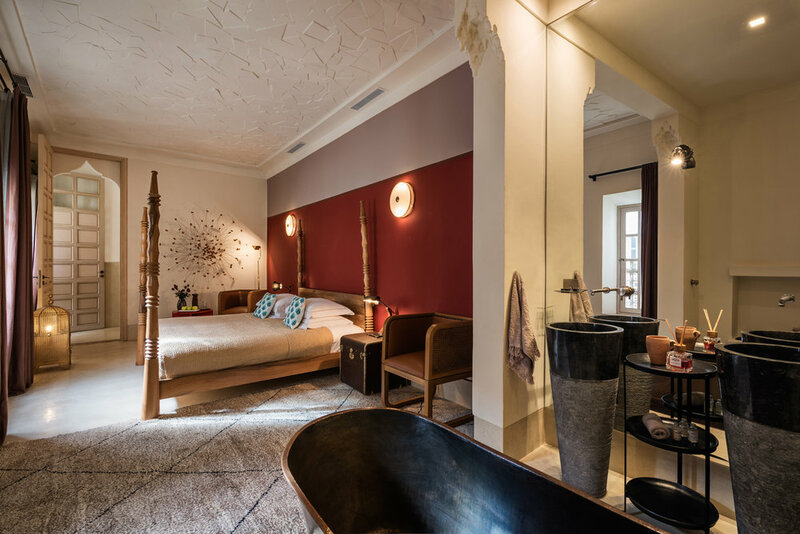 Families or friends can treat 72 as their own by occupying all the rooms and the luxurious Grand Suite offers couples the ultimate romantic escape. Giovanna,Stefania and the team behind 72 pride themselves on their attention to detail and their commitment to making your stay as comfortable, relaxing and special as possible. We look forward to welcoming you to 72 RIAD LIVING and to the Marrakech medina! In between your daily activities in Marrakech, you can enjoy the Hammam, get a massage, indulge in lecture sipping a cup of mint tea, or simply sun bathing in the roof top. Riad 72 offers all the relax you need in a super silent and tranquil environment. In between your daily discoveries of Marrakech, take advantage of our amenities for some deserved relaxation. 72 Riad Living offers several ways to relax before or after diving into the old town or venturing out on an excursion to the Atlas mountain. Relax with a good book on the patios, sunbathe on the terrace or soak in the luxurious hammam spa. Marrakech offers a multitude of things to do and to see. Riad 72 concierge is here to propose its guests personalized tips on the Medina hidden gems. The best restaurants, where to buy artisanal products, art galleries, where to party at night and plenty excursions. From the desert to The Atlas Mountains. Ready to discover thousands of years of history of Marrakech and get lost in the colourful alleyways of the Medina? To see Marrakech is what you are here for , so let us show it to you in its true essence. Discover the best places and corners of the city. Escape on an unforgettable excursion or dine in the best local restaurants. Our only wish is that you enjoy a wonderful and memorable vacation.